A focus on preventing illness is transforming sick care into healthcare. It’s been almost three centuries since founding father Benjamin Franklin opined that an ounce of prevention is worth a pound of cure. Although Franklin’s oft-repeated quote was actually in support of fire insurance – recognizing the devastation a house fire could cause a family without the means to rebuild – today’s leaders are recognizing and promoting the value of prevention when it comes to healthcare, a value that is evidenced by the 2010 passage of the Affordable Care Act (ACA). Preventive care includes services like vaccinations and screenings that have the goal of helping people avoid illness and improve their health. The ACA requires that most healthcare plans cover a set of these services at no cost to the patient, including no co-pay, even if the deductible hasn’t been met. This is a seismic shift in the medical world, from a focus on treating a problem or person after they’ve become sick to placing a priority on reducing risks and keeping people from getting sick – or getting worse. “That has been one of the thrusts of the ACA – the whole idea of covering preventive care, making sure people have the coverage from dollar one,” says Robert Pallay, M.D., a family physician in Savannah who has made preventive care part of his practice throughout his 37-year career, but in recent years has seen prevention become more important across the board. Others in the healthcare industry agree with Privette. 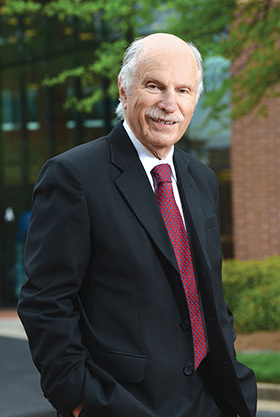 In fact, the entire healthcare model in America is moving from a costly one of fee-for-service – meaning the more care the provider gave, the more the provider was paid – to one where the care provider also takes on some of the risks of costs of care, says William A. Bornstein, M.D., Ph.D., chief quality and medical officer for Emory Healthcare. The increased focus on prevention goes far beyond the idea of keeping healthy people healthy. Prevention is also about keeping sick people from getting sicker. So, whether it’s a nation trying to trim its nearly $3-trillion spending on healthcare, a company wanting to reduce employee absenteeism and boost productivity or an individual striving for good – or better – health and a better quality of life, few would disagree that prevention just makes sense. The American Heart Association, whose 90-year history has been largely defined by its investment in research to ensure survival for people who have suffered heart attacks or strokes, has also shifted its mission largely to one of prevention. Some experts attribute educational efforts such as the Heart Association’s as well as the wealth of health information in the media and online for the prevention movement. When Dr. Pallay began practicing in the late ‘70s, he says, patients came to his office often knowing very little about health conditions or even the questions to ask him. Now the majority of his patients come with a lot of knowledge from shows on TV or from different sites on the Internet. While education about the effect lifestyle changes can have on health as well as the desire to be healthy are crucial, Dr. Bornstein notes they are only part of the healthcare puzzle. Often because lifestyle changes are difficult to make, he says. It’s hard to quit smoking, eat right and exercise – all activities that can have a huge and positive impact on health. Researchers at Emory and other institutions are interested in some of those other approaches, such as incentives needed for people to make changes, Dr. Bornstein says. Not surprisingly, some of the leaders in providing incentives for improving health for their employees are the same ones that are in the business of providing healthcare. Employees participating in Phoebe’s company health plan also have access to Provectus Health Strategies’ My Best Health Partner program, which offers a free health screening with individualized recommendations for preventing and controlling health problems as well as incentives for following the recommendations. “If [employees] are complying with their prescribed care program, that compliance results in continued eligibility to that resource, free monitoring, reduced medical premiums as well as contributions into a before-tax health savings account,” Peterson says. Experts, including Daniel Blumenthal, M.D., president of the American College of Preventive Medicine (ACPM), a professional medical society for physicians and researchers specializing in the field of preventive medicine, have different visions of the future of healthcare, but most agree that a focus on prevention will be key. Dr. Bornstein believes the personal technology, including smartphones, watches and activity trackers that record data on individuals related to their habits, lifestyle and activities – called biometrics – will play a role in healthcare in the future. In some ways, the future is already here. For example, clinical trials that involve sensors embedded in temporary tattoos or tiny scannable strips that can be implanted in the body to read health data are available today. These relatively new devices are already helping healthy people stay healthy by tracking sleep, physical activity and other lifestyle factors. Eventually they may help keep people who already have medical conditions from getting worse. Although it will take time for researchers to develop ways to process information from these devices in a way that is clinically meaningful and protects patient privacy, Dr. Bornstein believes that the use of such devices holds promise. “Let’s say, for example, you have an Apple watch, and it is able to measure your heart rate. And let’s say you have a medical problem such as heart failure, and we are able to develop a predictive model where a change in the heart rate and a change in body weight and a change in activity predicted that a patient was getting worse. Provided that patient had authorized the data to be sent to us and for us to connect with them, we might call them and say, ‘We’ve noticed the following and think things may be getting worse. Can you come in so we can check you out?’ We would be able to do that early [rather] than having them wait to a state where they are overtly symptomatic and might have to be hospitalized,” he says. Phoebe Putney and other health organizations are partnering with businesses to promote wellness and prevention, whether that involves offering health screenings at malls, conducting lunch and learns at local businesses or working with restaurants to develop healthier menu options. The American Heart Association has worked with SUBWAY, for example, to develop sandwiches with less sodium – a key dietary factor in hypertension and heart disease. “SUBWAY came to us and said, ‘We want to get some of our sandwiches in line, but here’s the trouble: If we take all of the salt out of those foods and people eat them, they won’t taste good,’” Michael Privette, executive director and vice president of the Metro Atlanta American Heart Association, says. “Over a period of time, roughly six months, they gradually reduced the amount of sodium in their product and brought them within a healthy range. “The human palate is sensitive to quick changes to sodium in our diet. If you gradually decrease it, you are unlikely to notice that change, so SUBWAY did just that.” SUBWAY now has six or seven sandwiches that meet the American Heart Association Heart-Check meal certification program, an AHA designation designed to make it easier for consumers to select heart-healthy foods. Many other restaurants, including the Atlanta-based Chick-fil-A, are offering an increasing array of healthier menu options as well as the opportunity for customers to select healthier accompaniments such as fresh fruit cups and green salads instead of French fries as part of their meals.